Desc: Sterling Silver September birthstone cross pendant. The cross has ornate engraving along the length. 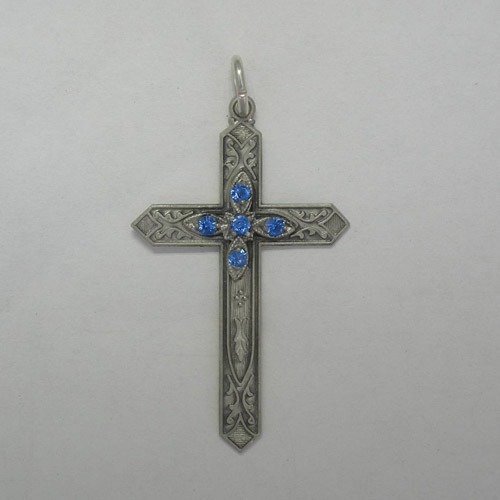 Five blue round faceted crystals are prong set in the center of the cross. The pendant has a satin and antiquing finish. All twelve month birthstone colors are available. Contact us for details on each birthstone cross pendant.